As it name suggests, Villa Maya Retreat is the perfect place to slow down and escape the frantic pace of everyday life. 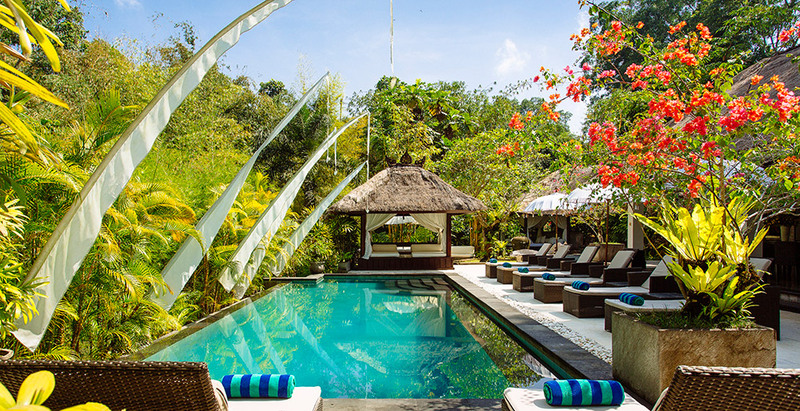 Resting on the banks of the Penet River, that winds through the rural village of Cepaka in the heart of Bali’s 'rice bowl', this six-bedroom villa will soothe your body, mind and soul. Shaded by lush tropical gardens and clusters of giant bamboo, the traditional-style living and sleeping pavilions have been designed to make the most of the natural surrounds. Featuring a 12 x 5-metre swimming pool, three plunge pools and numerous relaxation bales there is plenty of space for guests to unwind and recharge the batteries.